ANEK makes cargo transportation a pleasant experience. Thanks to the speed and comfort of our modern ships and our special prices, your professional trip will be as enjoyable as a leisure trip. The ANEK cargo department has one goal: to be fully aware of your needs and to satisfy them completely. Travel with us and change your professional trip from an everyday routine to a route of comfort. Drivers must check-in at the port ticket offices at least 2 hours prior to the scheduled departure time. 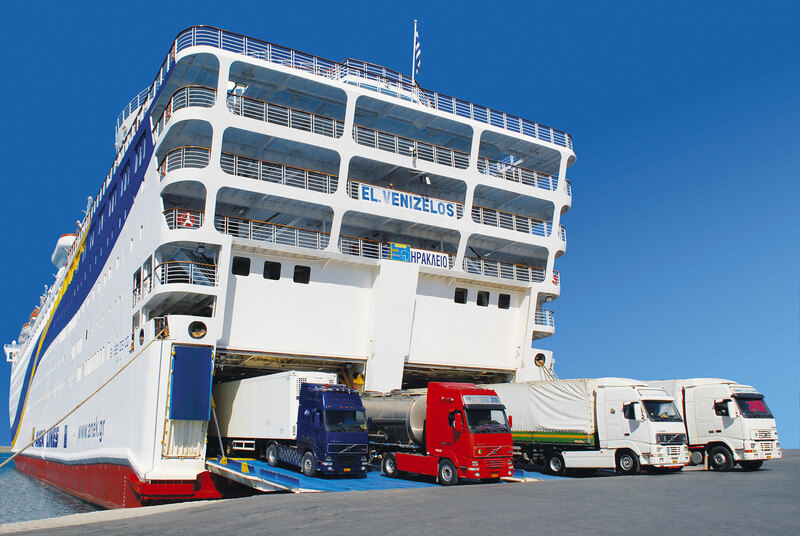 Trailers must check-in at the port ticket offices at least 3 hours prior to the scheduled departure time. For the transportation of irregular cargo, it is mandatory to notify in time the cargo department. Enjoy privileges and discounts with ANEK Smart Card! Ask our Receptionist or our agents!